George Coetzee has knocked on victory’s door for four years and it took “a bit of luck” on Sunday at Royal Johannesburg & Kensington Golf Club, but he claimed his maiden European Tour title with a three-shot victory at the Joburg Open. “You need a little bit of luck to win these things. On 15 I pulled my driver and that was the decider, because it should have gone into the water but instead it hit a tree and bounced back into the fairway. You always have this plan in mind for yourself when you’re coming down the stretch and it never goes the way you think it will. I’m very happy to have finished the job,” he said. Overnight leaders Thomas Aiken and Justin Walters began the day four shots ahead of Coetzee, but the leading pair lagged over the front stretch. Their slow scoring gave the flying Coetzee an opportunity to rein in the lead, which he achieved with four birdies over the front stretch to turn one off the pace on 17-under. Charl Schwartzel can’t remember when last he slept in his own bed for such an extended period, and the comfort he takes from that makes him a dangerous customer ahead of the €1.3-million Joburg Open which starts on Thursday. The 2011 Masters champion last played in the European Tour’s Volvo Golf Champions in Durban in early January, and then has taken time off to practice and prepare for the year ahead. 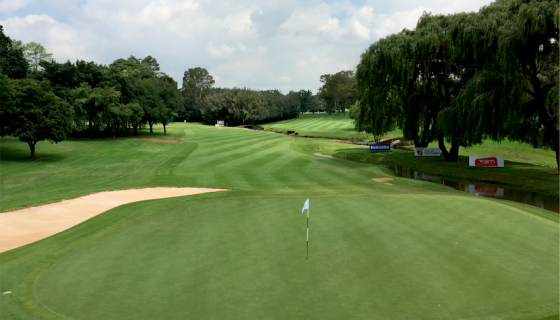 The event, co-sanctioned by the Sunshine Tour and the European Tour, is played over the West and East courses of Royal Johannesburg and Kensington. After a round on each of them, the 210-man field is cut to the top 65 players and those tied on that score, and the final two rounds are played on the East Course. While Brandon Stone won’t be playing in Sunshine Tour Qualifying School, Haydn Porteous (left), another of South Africa’s brightest prospects who has also already turned professional, gets his quest for a tour card underway on Tuesday over the Bloemfontein Golf Club and Schoeman Park layouts. 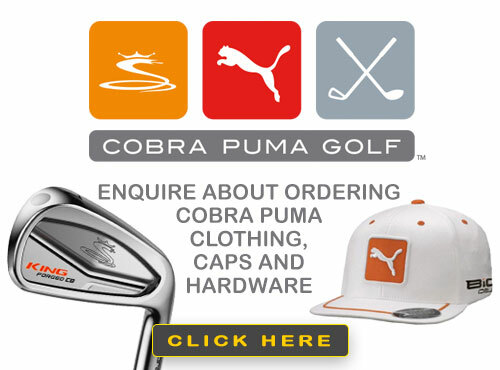 Like Stone, Porteous has been able to make use of invitations to play in some European Tour events, but he is pinning his Sunshine Tour hopes on a solid performance over five gruelling rounds in the Bloemfontein heat. 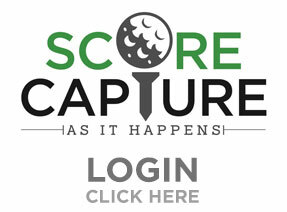 Porteous joins 235 other hopefuls who will have to play two rounds on each of the courses ahead of the cut to 60 players and those tying on that score, and, after a final round at Bloemfontein Golf Club, the top 30 players and ties will get their Sunshine Tour cards. Stone, who finished in a share of 19th in last week’s Abu Dhabi HSBC Golf Championship on the European Tour to move into 93rd position on the 2014 Race to Dubai, withdrew from the Qualifying School and is in the field for the Commercialbank Qatar Masters in Doha. On Sunday Louis Oosthuizen showed pure class when he birdied the 17th and 18th at Durban Country Club to edge out countryman Branden Grace by one shot and successfully defend his Volvo Golf Champions title. King Louis’ seventh European Tour title marked the fourth consecutive time that he’s won his first event of a new year. Rest and relaxation clearly factor into the 2010 Open Champion’s form and he shot 68 on Sunday for a 12-under-par winning total. “I take it from the holidays. I didn’t play any golf before this, and maybe that’s the key. I think the home crowd is really spurring us along and we just love playing in South Africa,” he said. Overnight leader Tommy Fleetwood’s level-par 72 was not enough to keep the South Africans at bay and he finished in a share of third on 10-under-par. Joost Luiten of the Netherlands gave himself plenty of chances, but had a handful of narrow misses on the greens and had to settle for a Sunday 71 and a share of third with Fleetwood.